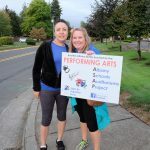 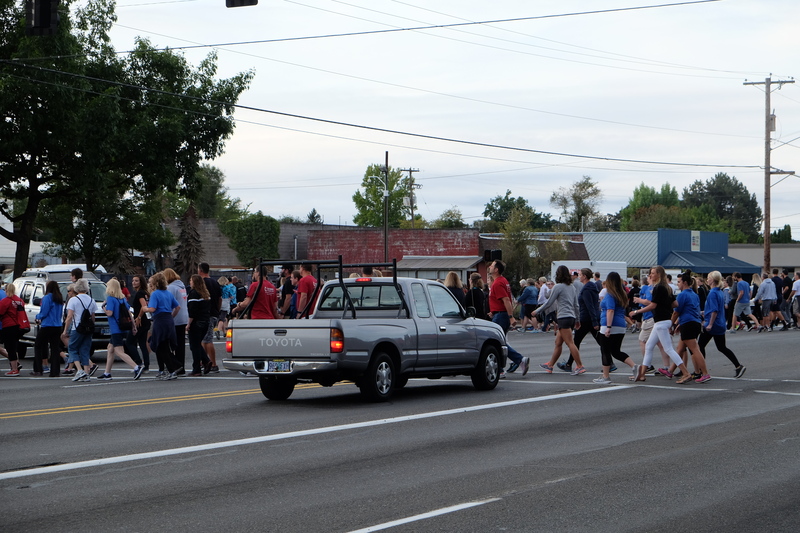 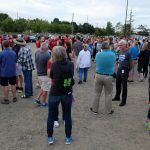 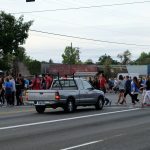 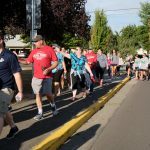 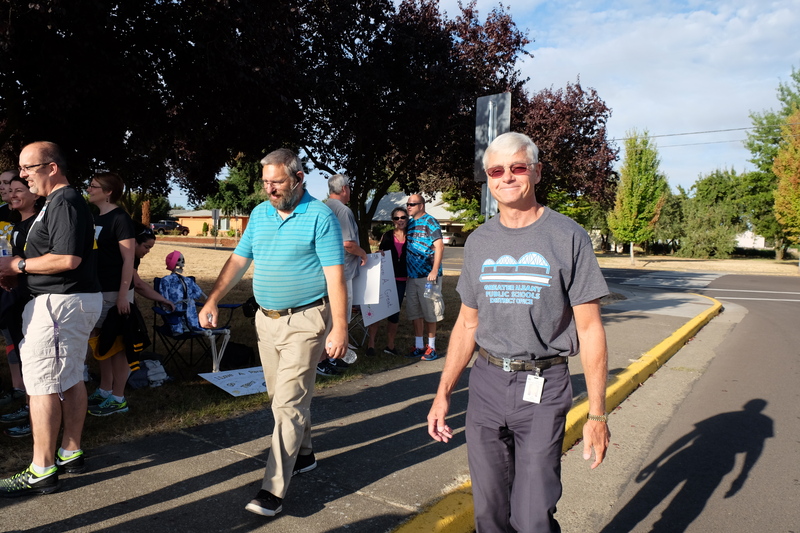 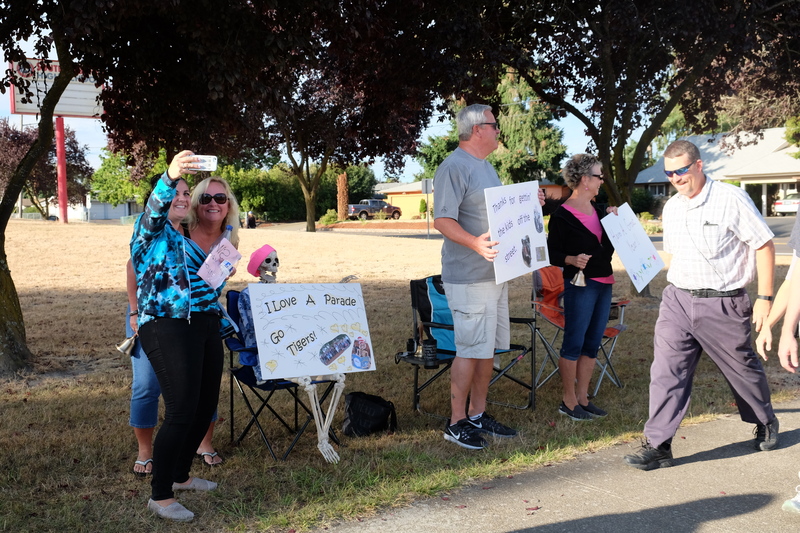 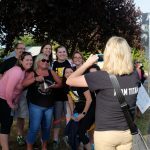 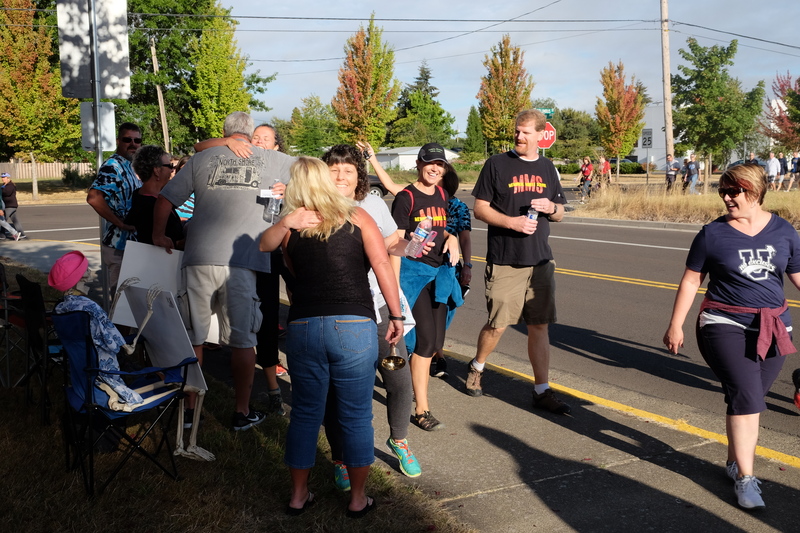 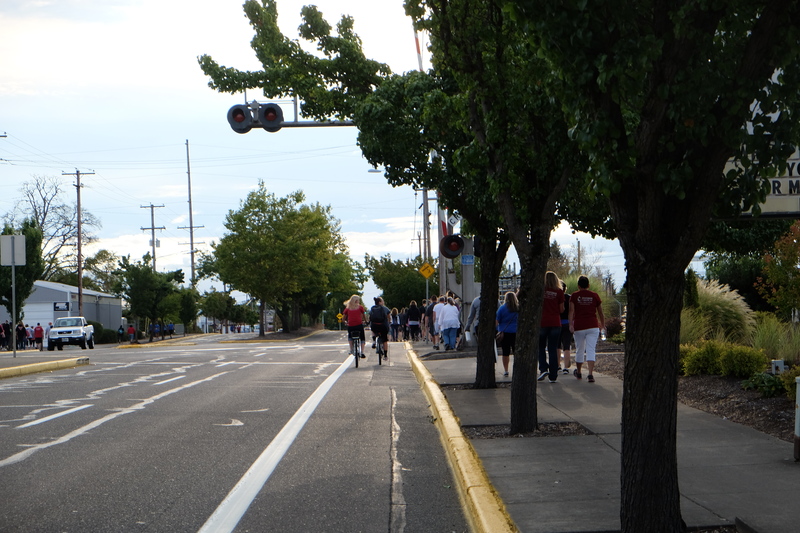 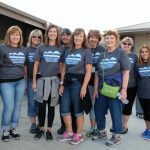 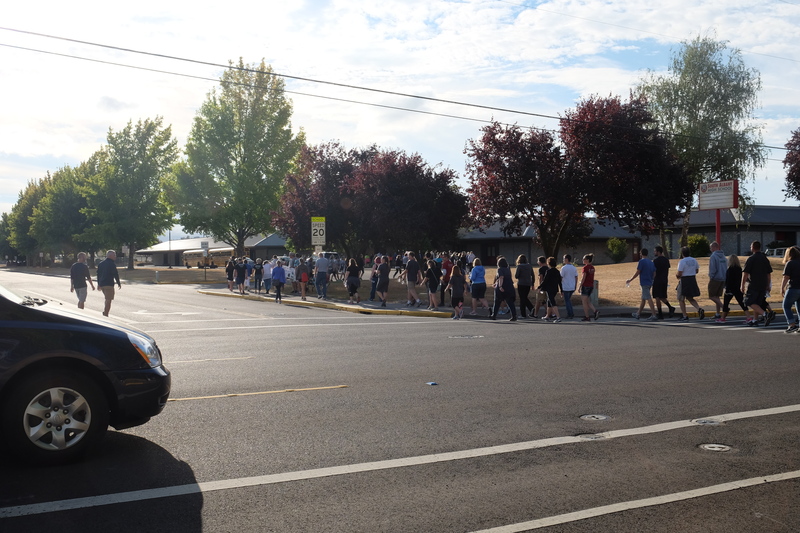 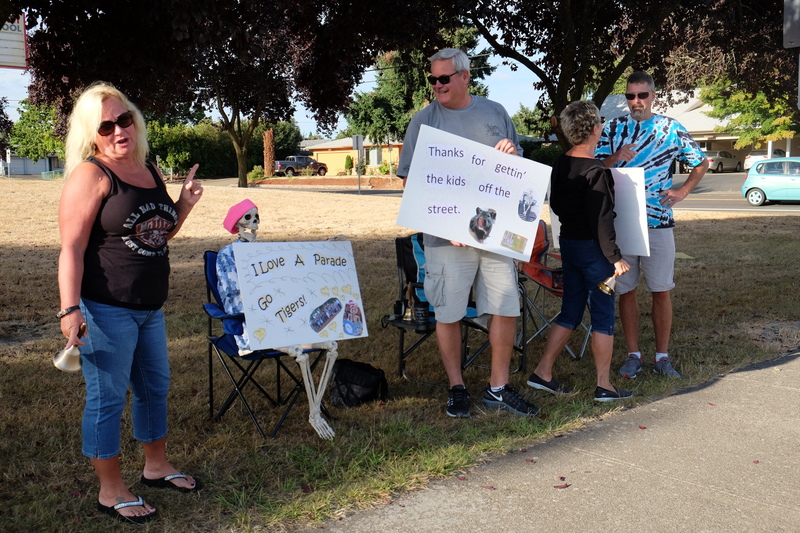 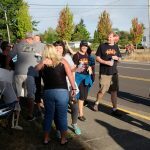 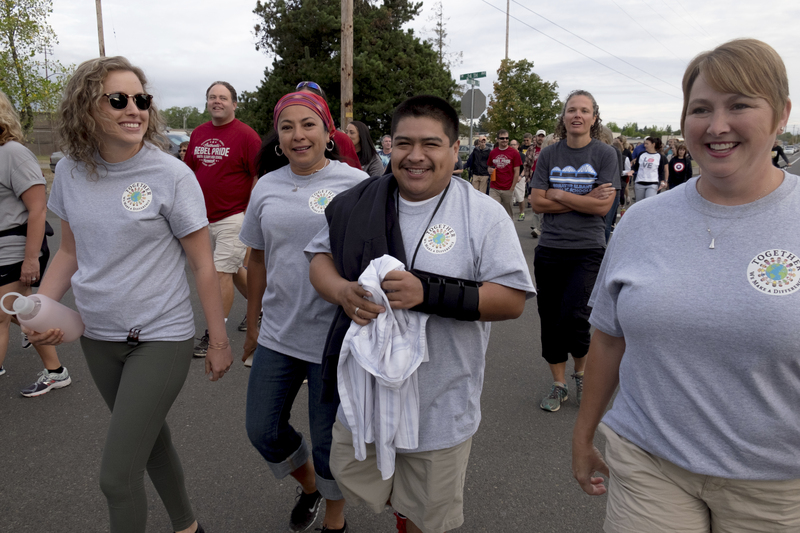 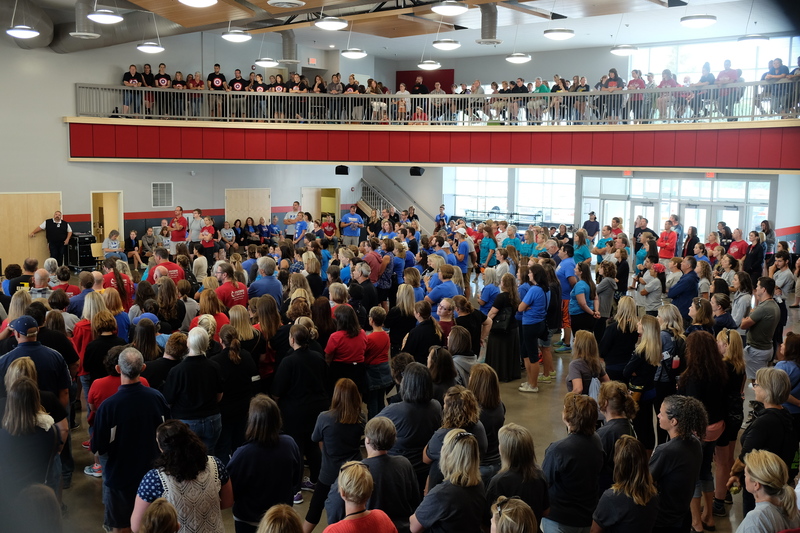 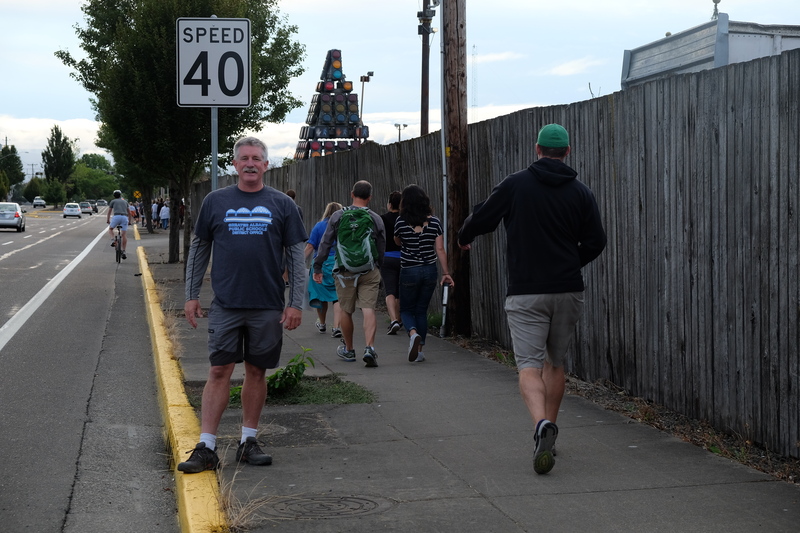 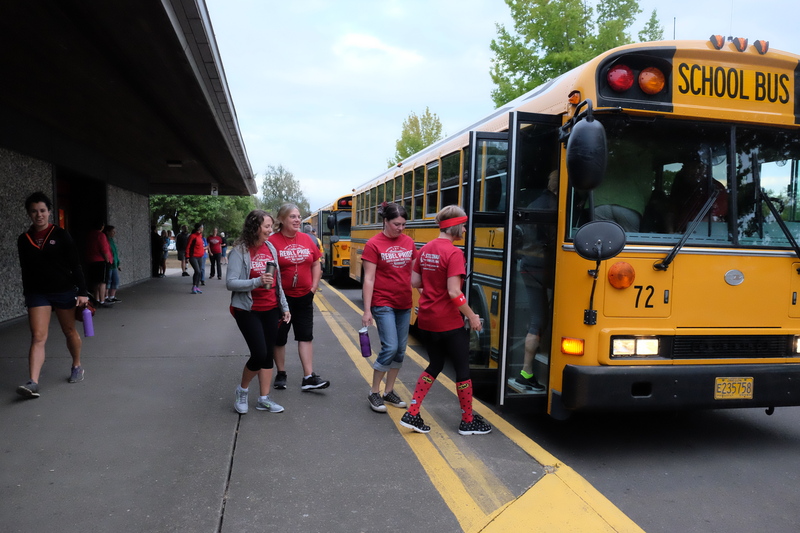 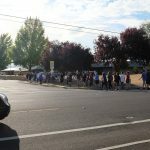 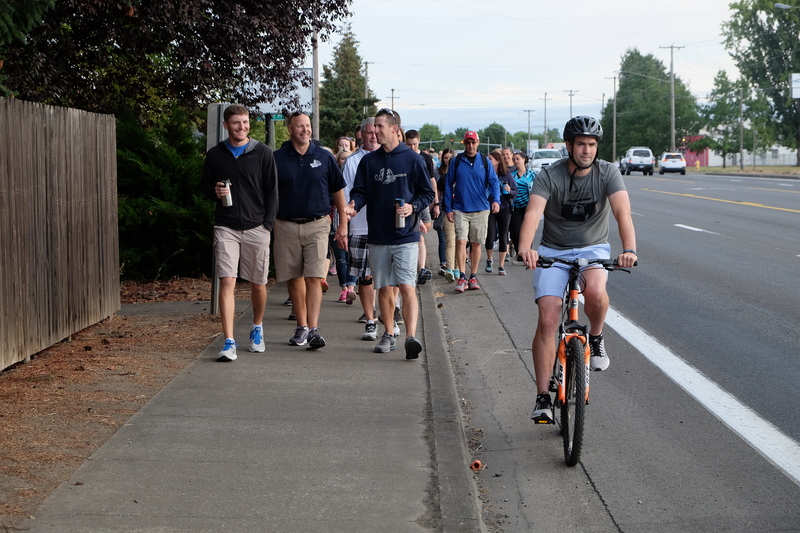 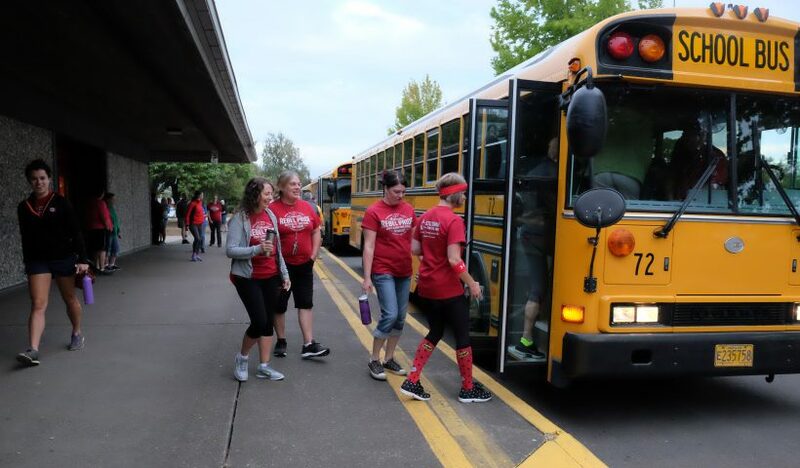 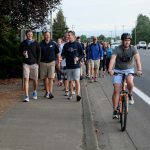 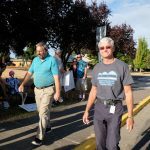 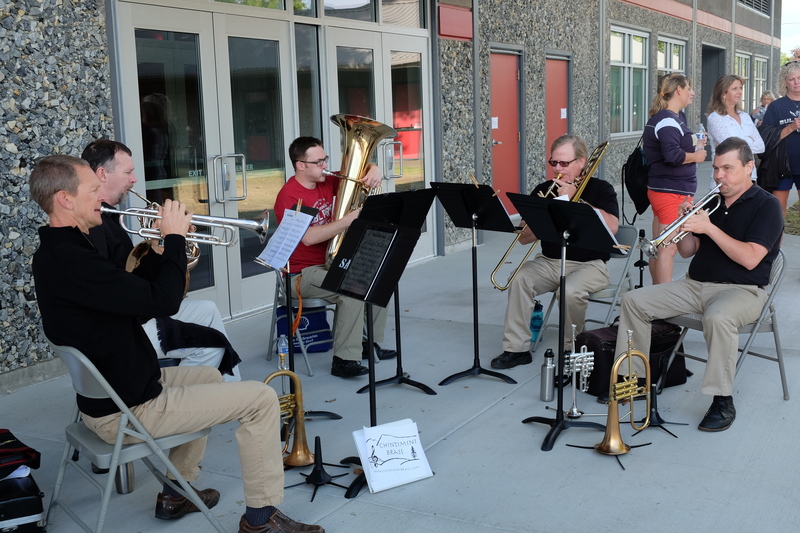 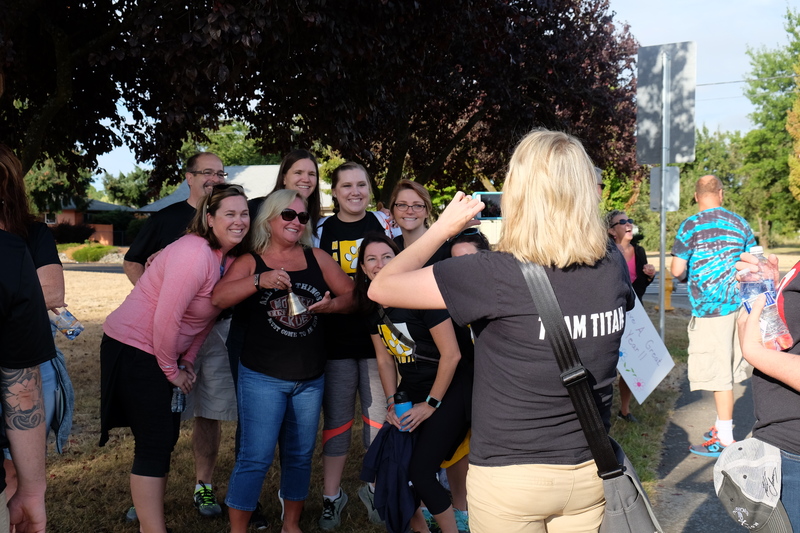 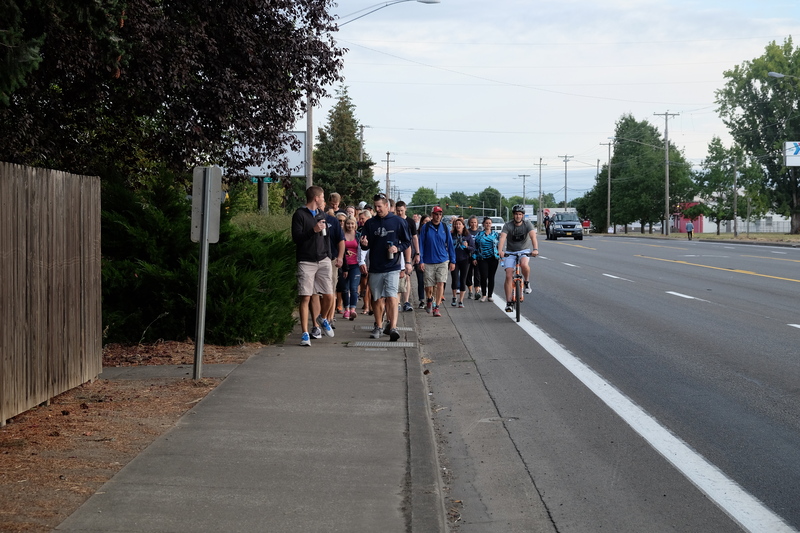 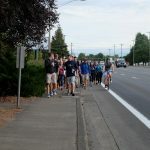 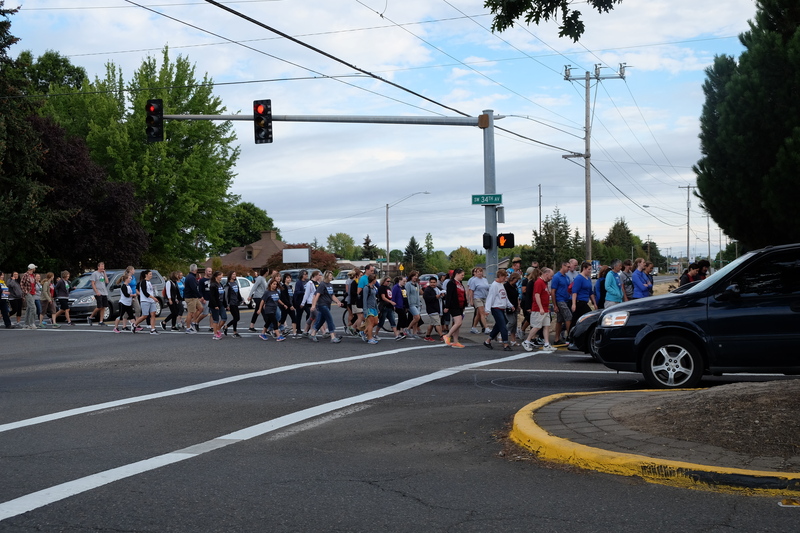 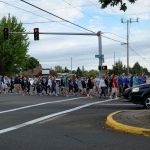 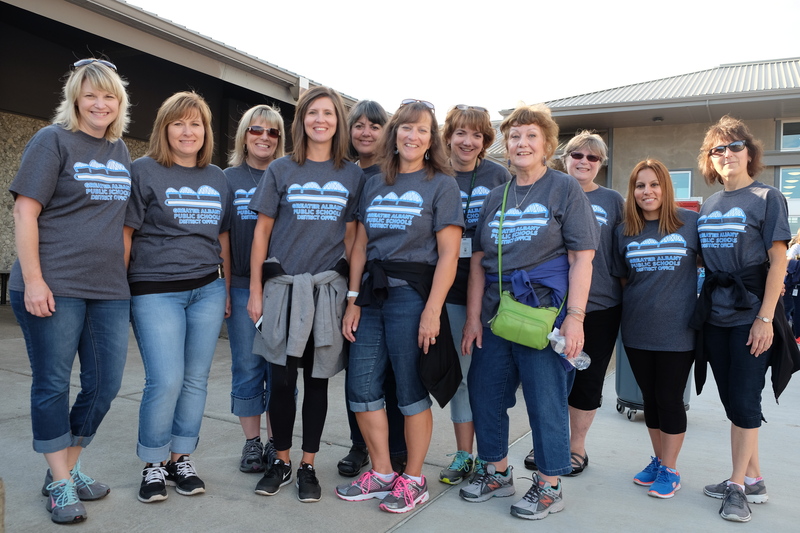 The annual back-to-school staff rally included a first-ever walk from West to South this morning. 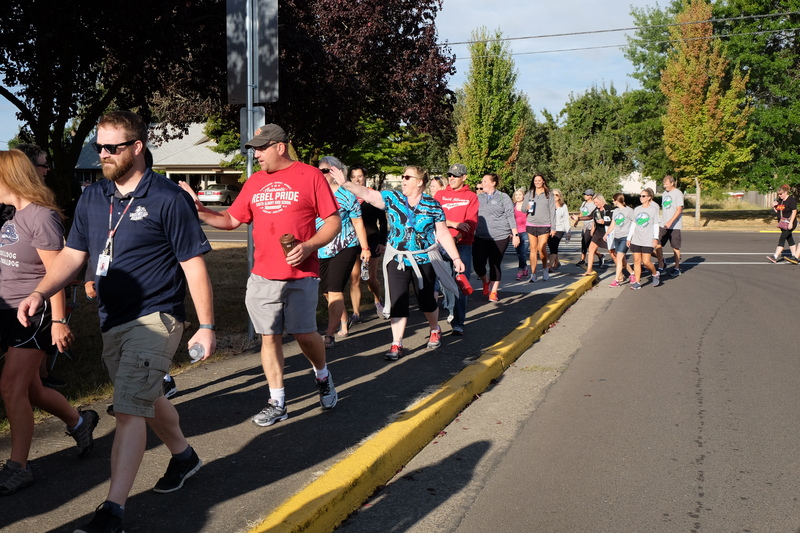 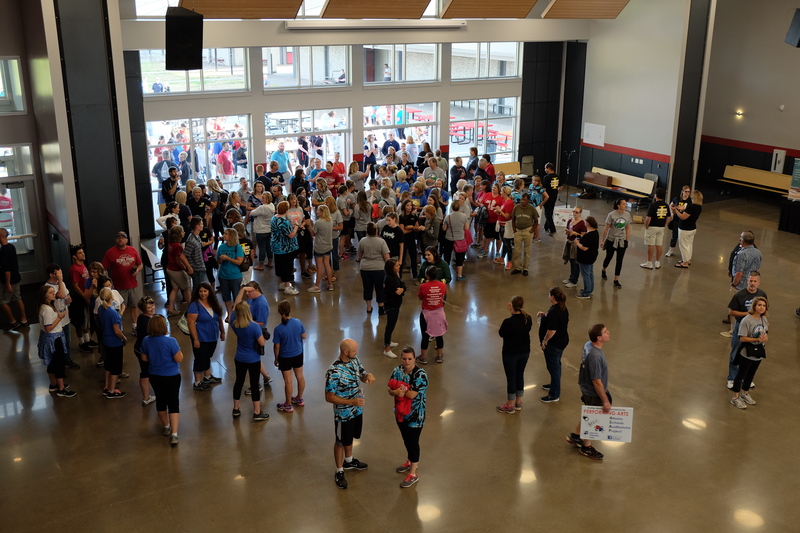 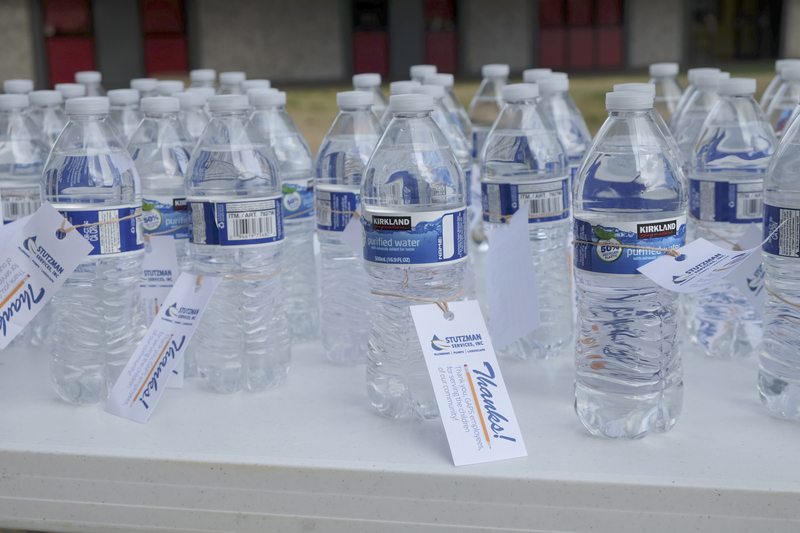 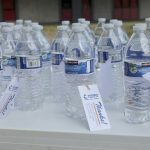 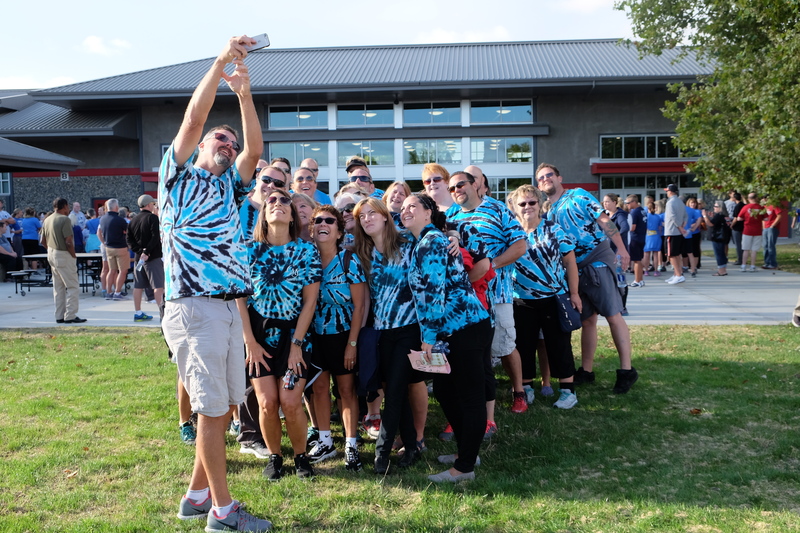 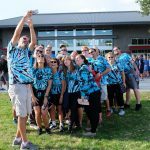 Superintendent Jim Golden planned the event in an effort to emphasize wellness and start the year in a fun way. 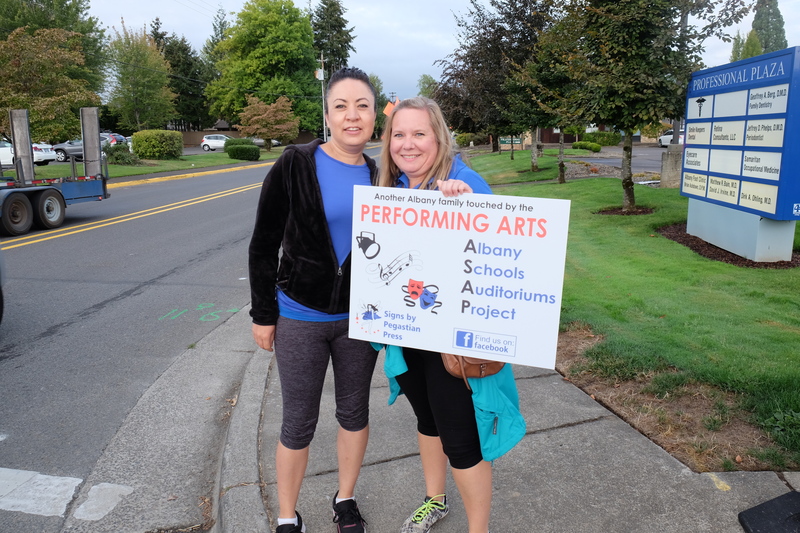 All GAPS licensed and classified staff made the 2.6 mile hike between schools. 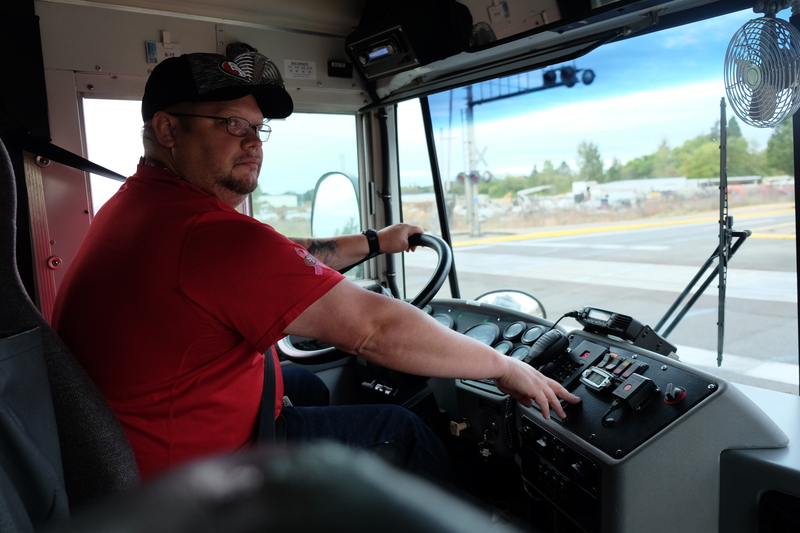 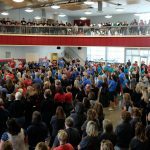 GAPS employs about 1,050 staff members. 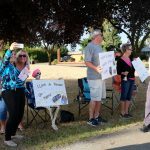 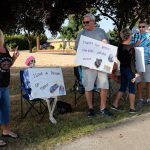 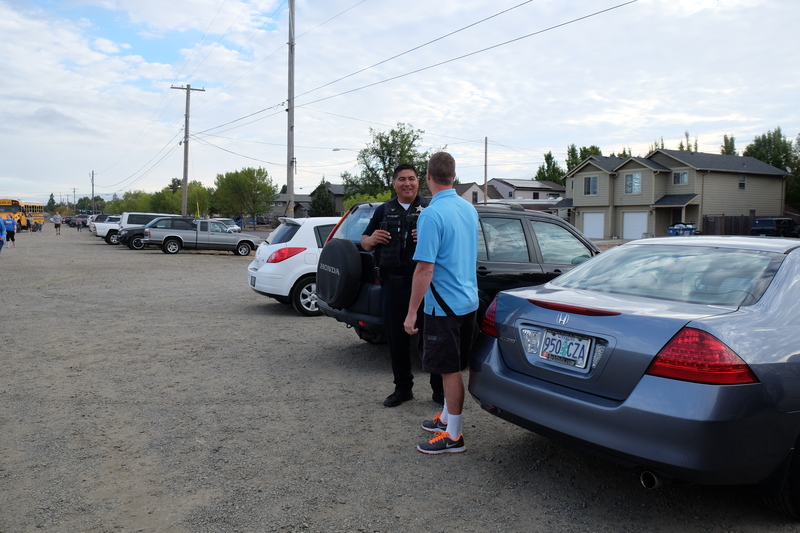 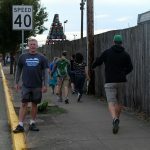 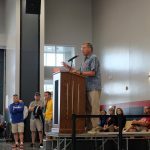 In addition, School Board members Jerry Boehme, Sandy Gordon, Micah Smith and Lyle Utt attended. 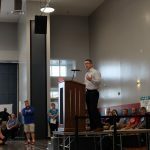 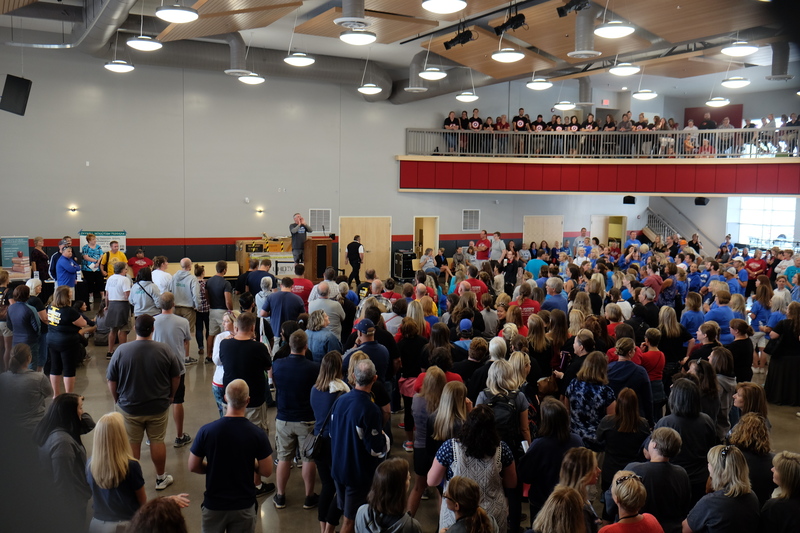 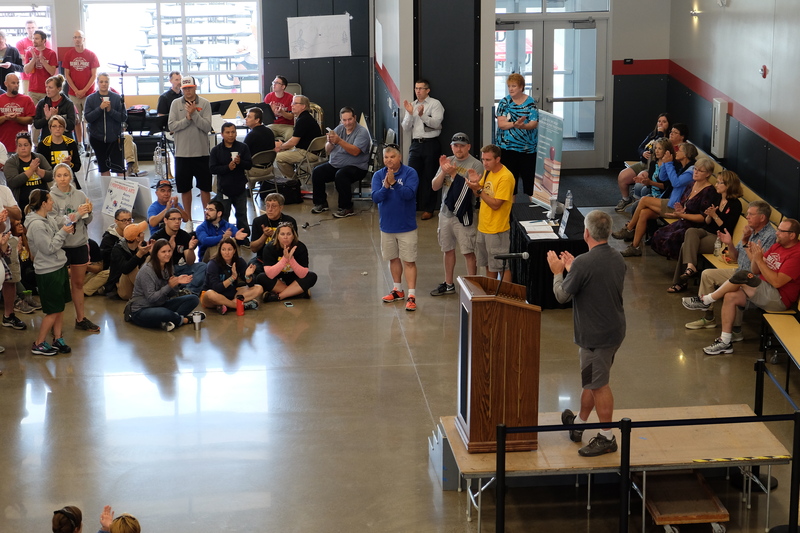 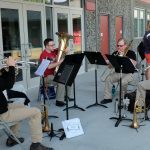 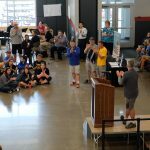 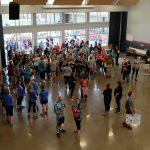 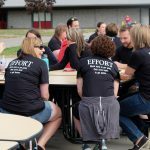 The event ended at the new South Albany High School cafeteria, which was the first look at the finished space for most staff. 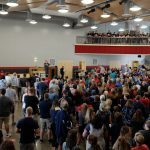 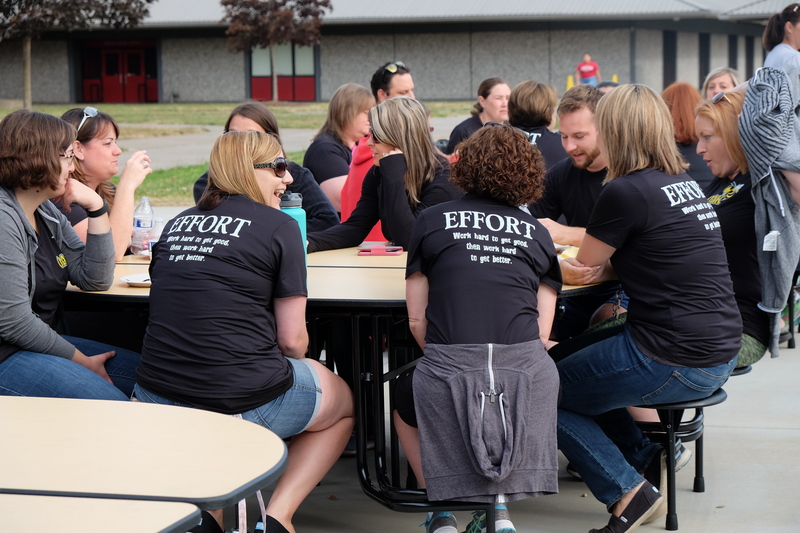 The group gathered in the commons area to hear brief motivational speeches by Superintendent Jim Golden, Albany Public Schools Foundation President Bob Stalick, School Board Chair Micah Smith and Sue McGrory, President of the Greater Albany Education Foundation. 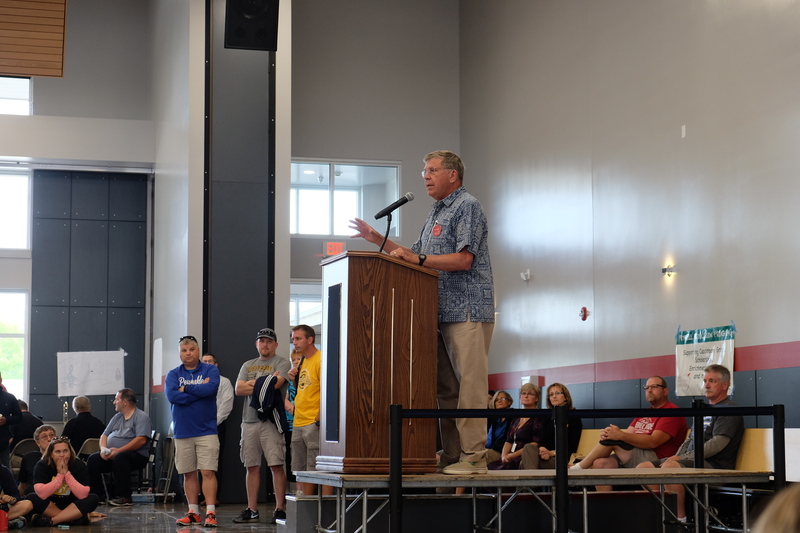 Stalick recognized the community and business contributions that helped make the new cafeteria possible. 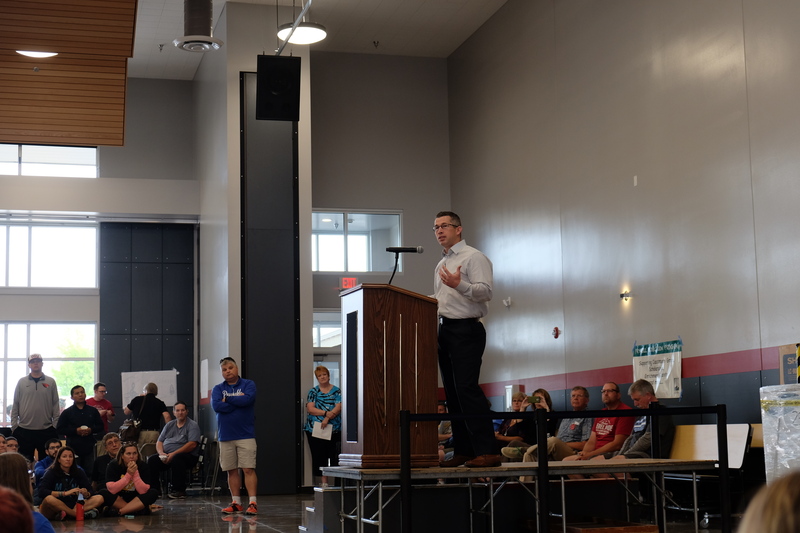 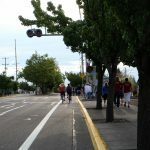 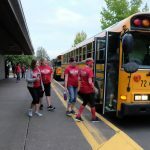 Board Chair Smith stressed preparedness for readying students to succeed in school and post graduation and in reference to a potential spring bond measure to renovate schools and add classroom space. 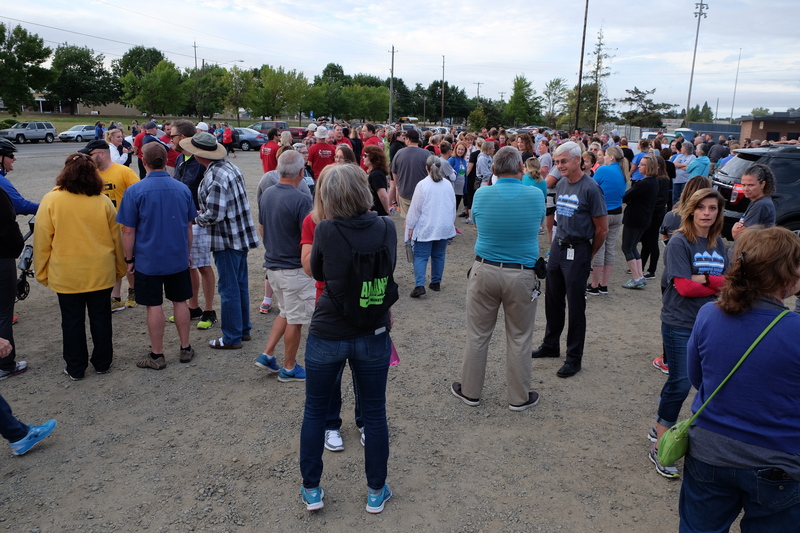 Sue McGrory wrapped up the speeches. 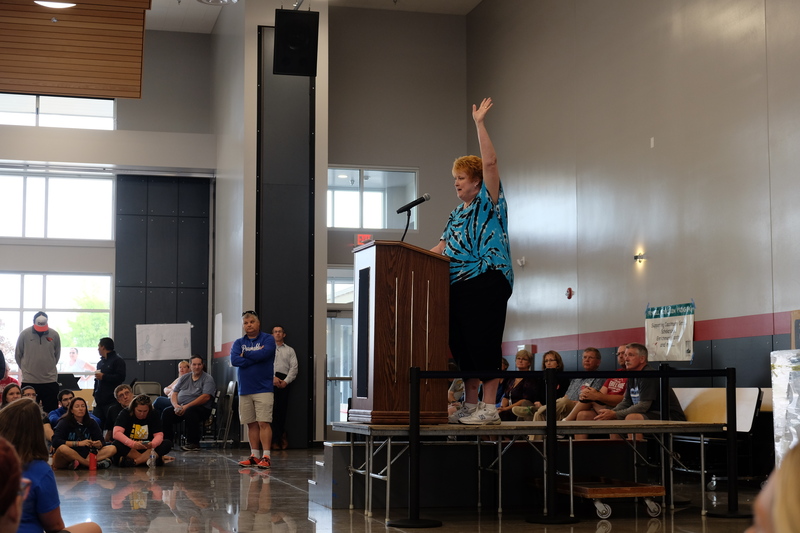 She thanked the school board for working in a collaborative partnership, and she shared basic beliefs about education in the district. 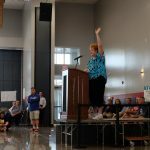 “I believe every student in Albany, regardless of family income, deserves a quality education,” she said.